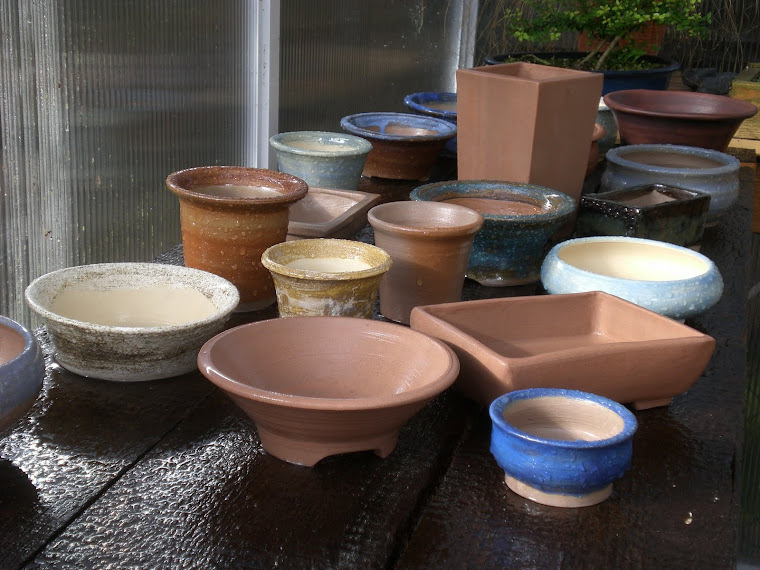 Pots fresh from the wheel are drying slowly as cool autumn weather begins. When they're dry I'll be glazing some of them, staining others and then firing them all. 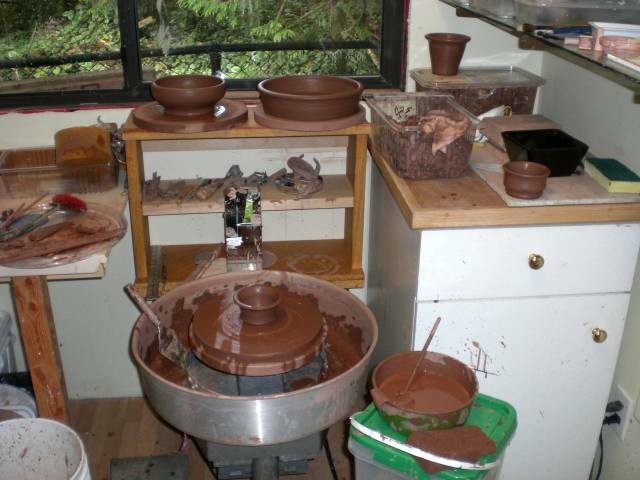 No bisque firing, just once up to around 2250 degrees F.(cone 6).